New quarter, new goals! (actually some not so new goals, but I’ll get them done! 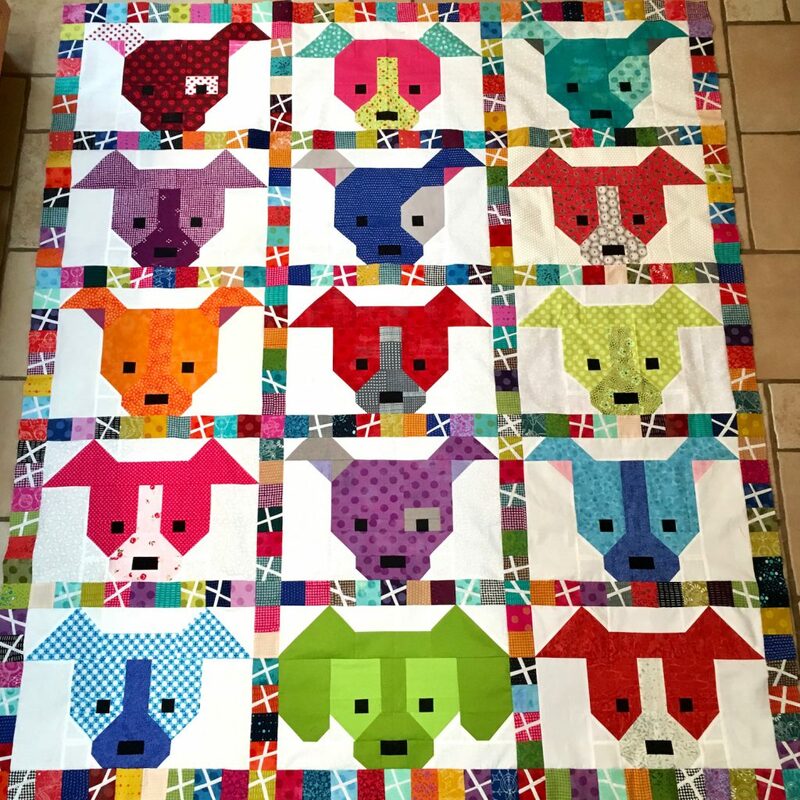 Dog Gone Cute Bee Quilt – these are the blocks from my Bee group in 2017. 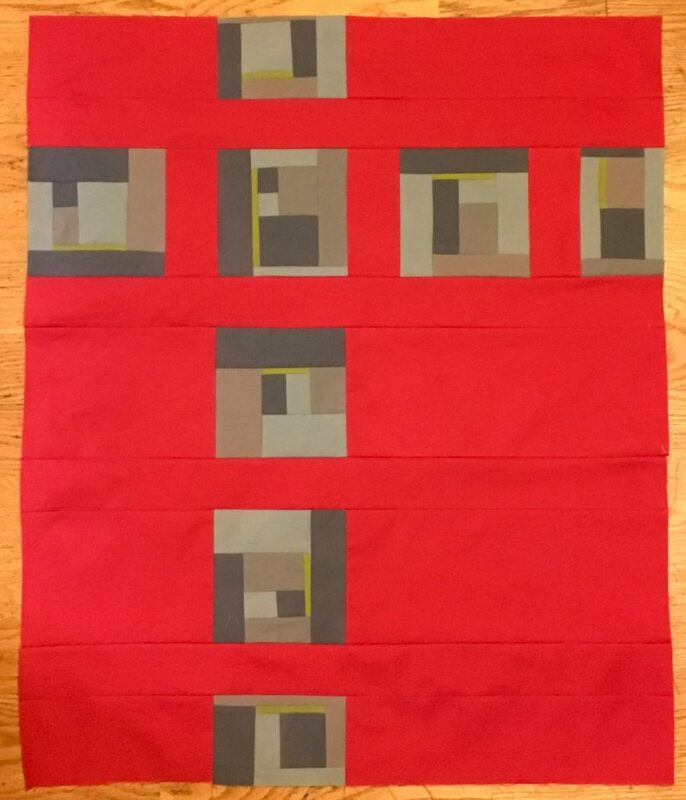 During Q1’18 I added 2 more blocks to fill it out and during Q2’18 I finished all the sashing to complete the top. Just need to quilt it now. 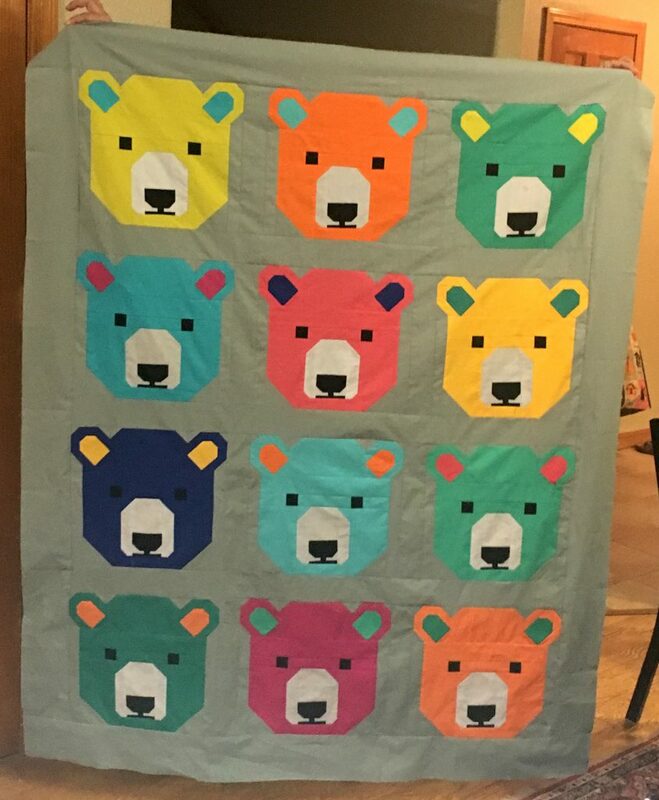 Bjorn the Bear – I finished this quilt top during my June group quilt retreat. I need to put glasses on one of the bears and get it quilted up. 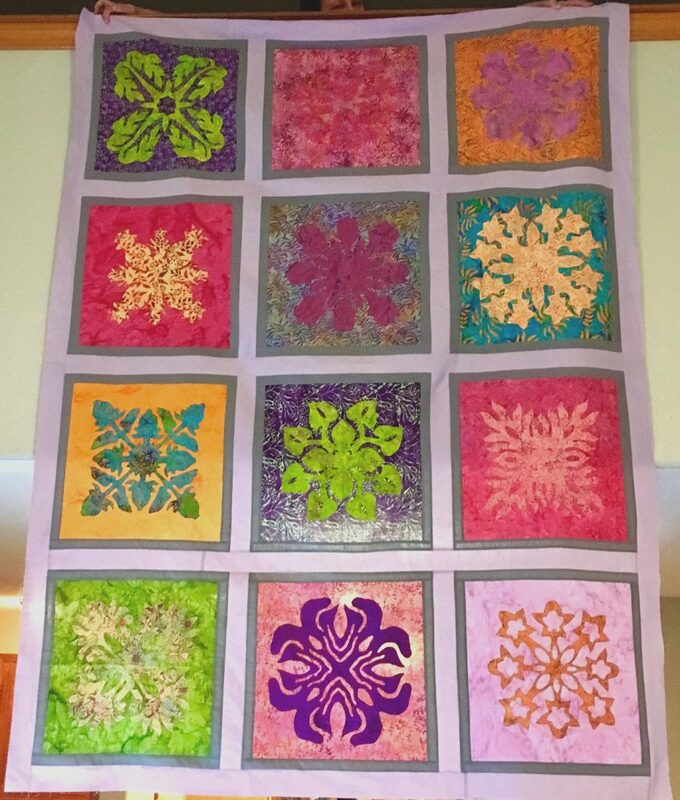 Hawaiian batiks – Another quilt top that I got finished during my June quilt retreat – ready to be quilted. 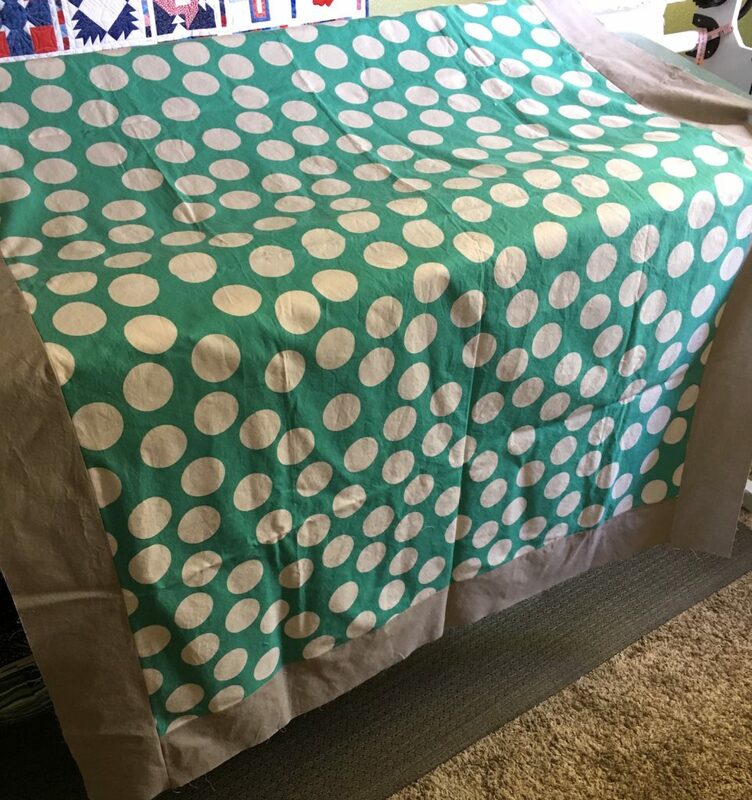 Angela Walters Challenge #3 Quilt – I bought the kit for this guy because I really loved the polka dots. I really enjoyed the Challenge #1 as it gave me a great opportunity to really practice my quilting. I look forward to the same with this quilt! 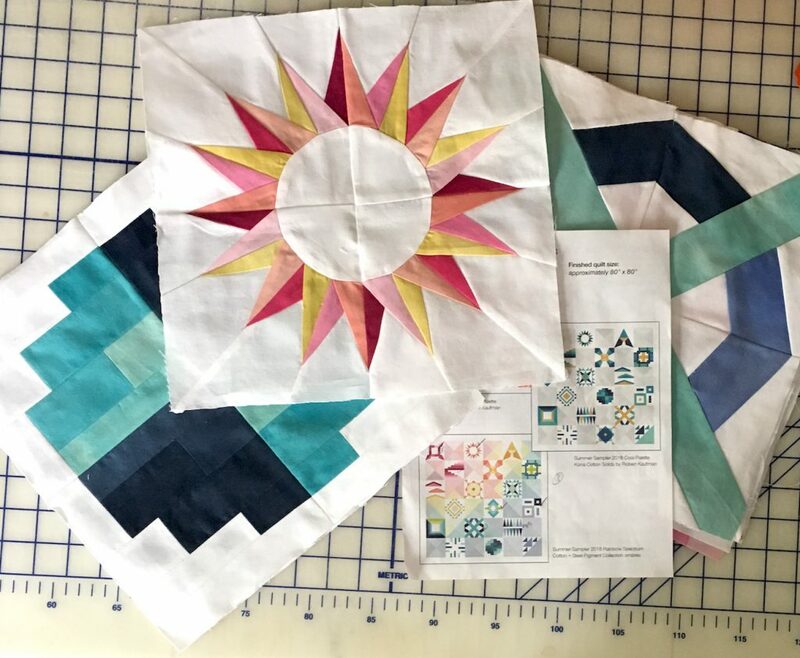 Summer Sampler 2018 – Honestly I was kind of stressed out at work and really needed some pretty fabric and a pattern to follow, so I bought all of it! I have a few blocks done, but this is unlikely to get done this quarter. Linking up with the Q3’18 FAL site. You’ve got some really fun projects here! You have some lovely projects here. What are you going to work on first? On behalf of the FAL crew, thank you for joining in and good luck!